Romans 3:10-20 - "There is no one righteous, not even one, there is no one who understands, there is no one who seeks God. All have turned away, together they have become worthless; there is no one who shows kindness, not even one. "Their feet are swift to shed blood, ruin and misery are in their paths, and the way of peace they have not known." Have you ever heard that, if you want to go to Heaven, you must be "born again"? This is true. The Lord Jesus Himself said, "Except a man be born again, he cannot see the kingdom of God " (John 3:3). • What does it mean to be "born again"? • Why must we be born again? • How can we be born again? God's FIRST MAN was Adam. To understand what the Lord Jesus meant and why we must be born again, we must know about two special men in the Bible. These two men are Adam and Christ. Adam is called God's "first man," and the Lord Jesus is called God's "second Man." Adam is called the "first man" because he was the first man. God did not create millions of people to populate the earth. He created only one man and one woman. From that man, Adam, and his wife came the whole human family. Adam was a special creation of God. The Bible says, "The Lord God formed man of the dust of the ground, and breathed into his nostrils the breath of life; and man became a living soul [person]" (Genesis 2:7). Man is the highest of all created beings because he was created "in the image of God." This is not said of any other creature. The Bible says, "So God created man in His own image, in the image of God created He him; male and female created He them" (Genesis 1:27). Did Adam obey God and glorify Him? No, he did not. Adam chose to rebel against God and disobey Him. When Adam sinned, he died spiritually. He was cut off from the life of God. Adam was now a sinner. He had a sinful heart. Adam's children had sinful hearts, just like Adam. Likewise, Adam's grandchildren were born with sin in their hearts. 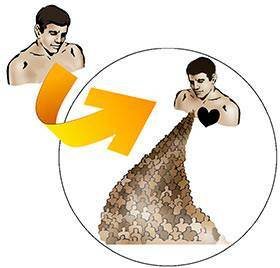 Adam passed his sinful nature on to the whole human family. Adam produced a race of sinners, just like himself! The Bible says, "For as by one man's disobedience [Adam's disobedience] many were made sinners…" (Romans 5:19). God had wanted a race of people who would glorify Him and bring pleasure to His heart. But God's first man, Adam, produced a race of sinners. 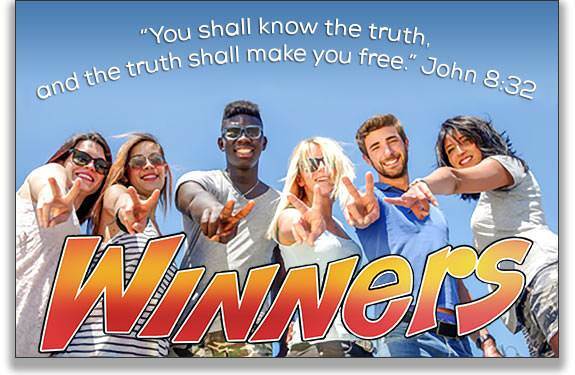 Could a race of sinners glorify God and bring pleasure to His heart? No, it could not. One of the wonderful things about God is that He likes to make things new. When sin ruins something that God has made, He does not patch it up. Instead, He makes something entirely new. God's SECOND MAN is Jesus Christ. What did God do? God gave the human family a "second Man." Who is God's "second Man"? He is God's Son—the Lord Jesus Christ. The Bible says, "The first man [Adam] was of the earth, earthy: the second man is the Lord from heaven" (1 Corinthians 15:47). Jesus Christ is "the Lord from Heaven." The Bible says, "…the Father sent the Son to be the Savior of the world" (1 John 4:14). God now had a Man on earth in whom He found His perfect pleasure and delight. Everything Jesus said and did was pleasing to His Father. Jesus said, "He that sent Me is with Me…for I do always those things that please Him" (John 8:29). At the end of His life, Jesus prayed to His Father, "I have glorified You on the earth: I have finished the work which You gave Me to do. And now, O Father, glorify Me with Your own self with the glory which I had with You before the world was" (John 17:4-5). The Father answered that prayer. When Jesus returned to Heaven, God the Father gave Him the highest place in Heaven. He is "Lord of all"! The Lord Jesus is the Head of God's new family. Sin ruined Adam's family, but God's purpose had not changed. God says, "I will have a new family of people like My Son. They will love Me, obey Me, and bring pleasure to My heart. My Son will be the Head of My new family, called 'the children of God.'" There are now two families in the world—Adam's sinful family and God's new family. Each family has a "head." Adam is the head of his family, and Christ is the Head of God's new family. All of us, when we were born, were born into Adam's sinful family. Every person in Adam's family is separated from God and lost. (See Romans 3:10-20.) To become a child of God, we must get out of Adam's sinful family and into God's new family. The Bible calls this being "born again." You must be "born again"! What does it mean to be "born again"? It means to be "born from above"—to be "born of God." It is an entirely new beginning. We get out of Adam's sinful family. We are "born again" spiritually. We begin a new life in God's new family. No matter who you are, if you want to get into God's new family, you must be born again. Jesus said, "Marvel not that I said unto you, You must be born again" (John 3:7). How are we "born again"? We are born again into God's new family by believing on the Lord Jesus Christ and receiving Him as our Savior. The Bible says, "As many as received Him, to them gave He power to become the sons [children] of God, even to them that believe on His name" (John 1:12). The moment I received the Lord Jesus as my Savior, I was "born again" into God's new family. The Bible says, "Behold, what manner of love the Father has bestowed upon us, that we should be called the sons [children] of God…" (1 John 3:1). Many wonderful things happened the moment I received the Lord Jesus Christ as my Savior. These wonderful things are true of every person who is born again. God forgave me of all my sins. The very moment I took the Lord Jesus as my Savior, God forgave me of all my sins. God forgave me because Christ died for my sins. The Bible says, "To Him [the Lord Jesus] give all the prophets witness, that through His name whoever believes in Him shall receive remission [forgiveness] of sins" (Acts 10:43). "Remission of sins" means that God forgives us of all our sins—past, present, and future. God is saying, "My Son died for all of your sins—past, present, and future. I do not hold a single thing against you." Some may wonder how God could forgive us of sins in the future. When Christ died on the cross for our sins, He died for all of our sins. How many of our sins were in the future when Christ died? All of them were in the future then. All who put their faith in Jesus Christ as the Son of God are the children of God. The Bible says, "For you are all the children of God by faith in Christ Jesus" (Galatians 3:26). Christ came to live in me. A Christian is one in whom Christ lives. The moment I was saved, the Lord Jesus came to live in my heart. Christ lives in me by His Spirit. The apostle Paul said, "Christ lives in me" (Galatians 2:20a). The Holy Spirit came to live in me. When I took Jesus as my Savior, the Holy Spirit came to live in me. He is called "the Spirit of Christ" because He is the same Spirit who lives in Christ. The Bible says, "Because you are sons, God has sent forth the Spirit of His Son into your hearts…" (Galatians 4:6). God sends the Holy Spirit to live in me that I might know how God feels toward me. The Holy Spirit impresses on me the wonderful fact that God loves me with all His heart. The Holy Spirit pours the love of God into my heart. (See Romans 5:5.) 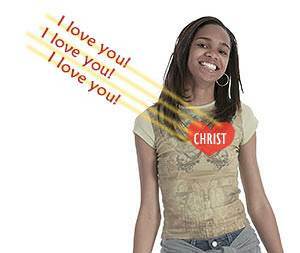 Through the Holy Spirit, God is saying to me, "I love you! I love you! I love you!" The moment I took the Lord Jesus as my Savior, God gave me everlasting life. The Lord Jesus belongs to me, and I belong to Him forever. God wants me to know this. The Bible says, "These things have I written unto you that believe on the name of the Son of God; that you may know that you have eternal life…" (1 John 5:13). God wants me to grow! When a baby is born, he needs food so he can grow. The same is true in the Christian life. When we are born into God's family, we need "spiritual food" so that we can grow. What is our spiritual food? Our Spiritual food is the Word of God. The Bible says, "As newborn babes, desire the sincere milk of the word, that you may grow thereby" (1 Peter 2:2). One of the great secrets of victory in the Christian life is having a daily "Quiet Time." This is time spent alone with the Lord in the study of His Word and in prayer to Him. To establish a Quiet Time, find a place where you can be alone with the Lord. Decide on the best time to meet with the Lord. For most people, the best time is the first thing in the morning. Begin your Quiet Time with a short prayer to the Lord. Ask Him to give you a love for Him and for His Word. Ask Him to speak to your heart through His Word. Use a Bible that has good print and is easy to read. Have a plan for reading. Read the Gospel of John first. 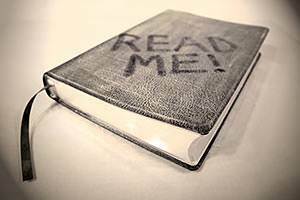 After you have finished this gospel, begin the Gospel of Matthew and read right through the New Testament. As you read the Bible, watch for a verse or verses that seem to speak to your heart. 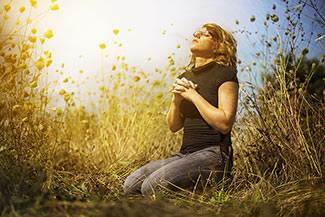 After reading and listening for God to speak to your heart, take time to pray. Thank God for saving you. Thank Him for what He has done for you. Do you want to ask for something? Tell God the desires of your heart. He answers our prayers according to His own perfect will. God's first man, Adam, disobeyed God and brought sin and death into the world. Adam produced a race of sinners. God gave the human race a second Man—the Lord Jesus Himself. He perfectly glorified God. When Christ rose from the dead, God made Him the Head of His new family—the children of God. We are born again into God's new family by believing on the Lord Jesus and receiving Him as our Savior. While Joseph was living, Jacob's descendants, the children of Israel, were treated well. But after Joseph died, there arose a new king in Egypt who had not known Joseph. He dealt harshly with the children of Israel and made slaves of them. At this time Egypt was the most powerful nation on earth, and Pharaoh, the king of Egypt, was the most powerful ruler in the world. In spite of their affliction, the children of Israel were multiplying, so Pharaoh ordered the midwives to kill all the newborn sons of the Hebrew women. But the midwives feared God and would not kill the male babies. One godly mother, Jochebed, hid her newborn son for three months. 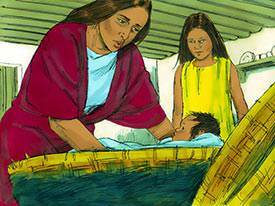 When she could no longer hide him, she made a little waterproof basket for him and put it in the bushes in the river where Pharaoh's daughter came daily to bathe. The mother put her little daughter, Miriam, nearby to watch and see what happened. When Pharaoh's daughter came to bathe, she discovered the little basket. When she opened it, the baby cried. This touched her heart, and she had compassion on him. She said, "This is one of the Hebrews' children." Just then, Miriam, the baby's sister, came up and asked, "Shall I go and call to you a nurse of the Hebrew women that she may nurse the baby for you?" 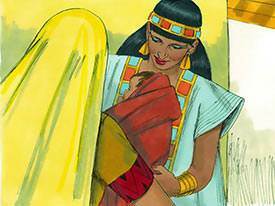 Pharaoh's daughter agreed, so Miriam went home and brought back her mother. Pharaoh's daughter said, "Take this child away, and nurse him for me, and I will give you your wages." God's ways are so wonderful! He had not only spared this baby boy's life, but He had sent him back to his mother. 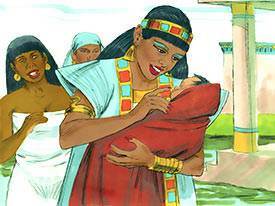 Jochebed was now being paid by Pharaoh's daughter to nurse and raise her own son. Jochebed used this time to teach her son about the true and living God—the God of Abraham, Isaac, and Jacob. The child grew and, in time, his mother brought him to Pharaoh's daughter, and he became her adopted son. Because she had drawn him out of the water, she called his name Moses, which means "to draw out of water." Moses was raised in Pharaoh's palace as a prince. He was being trained to become a ruler of Egypt. The Bible says, "Moses was learned in all the wisdom of the Egyptians, and was mighty in words and in deeds" (Acts 7:22). But God was preparing Moses for a greater work. He was to be the deliverer of God's people, the Israelites.